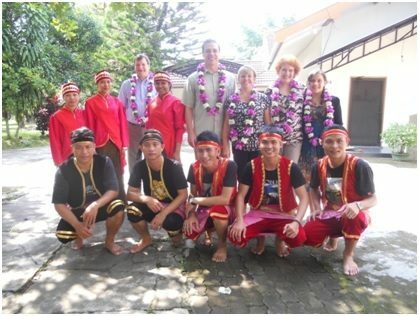 Yogyakarta, Indonesia : The start of 2014 has been a special time for Indonesia Nazarene Theological College (INTC). All of the professors, staff and students have been blessed with the amazing things that God is doing in His institution in Yogyakarta, Indonesia. On January 9-12, INTC had the pleasure of having Nazarene Regional & Global leaders visit the campus including General Superintendent Dr. David Busic who visited with his wife Christi. The Busics said that it was a special visit as it was their first time to come to Indonesia and to personally meet their Indonesian Nazarene brothers and sisters. Asia-Pacific Regional Director Rev. Mark Louw, his wife Linda and daughter Alexandra were also blessed by the opportunity to visit. 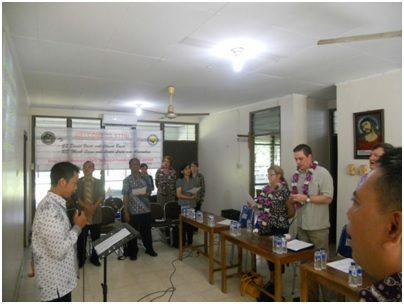 On January 10th, the INTC Family hosted a welcome service in Yogyakarta for the Busics and Louws, which included pastors and several churches members. During his visit, Dr . Busic shared in two services to more than120 people who gathered together in the INTC Chapel. The message Dr. Busic brought was very clear. He spoke from Matthew 16 :18, “And I also say unto thee, that thou art Peter, and upon this rock I will build my church; and the gates of Hades shall not prevail against it.” The message emphasized the power of the church that has been established by Christ. On January 11, there was a special gathering with the GS, RD and INTC family. Dr. Busic again encouraged the INTC teachers and staff with a message from Philippians 1:2 about grace and peace from God, our Father. Upon completion of a campus tour that included dormitories, classrooms and offices, Dr. Busic closed the visit with a powerful prayer for the school, staff, students, and professors. The New Year blessings continued on January 21st, as a special one day gathering for the alumni was held and then followed up with a meeting involving the alumni of INTC from Java-Bali district. Tata Patmawiraga, president of the alumni union, encouraged all alumni to support INTC as their alma mater. Many alumni shared stories of difficulties, but also stories of God’s blessings for them as they have ministered in their churches. These stories served as evidence that God is faithful to His servants. 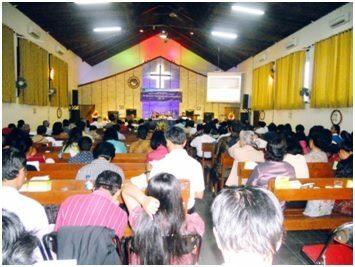 On January 22nd, Java-Bali District held its 35th District Assembly. Nazarene pastors and delegates came from all around the Java and Bali Islands. During the District Assembly, Rev. 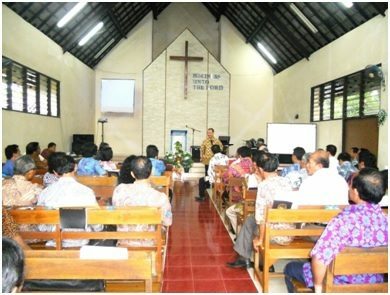 Suranto, INTC Rector, gave a report expressing thanks to all Nazarene Churches in Java-Bali. He explained that INTC and the Nazarene churches are united and cannot be separated. The local churches and districts need INTC to produce alumni that are able to disciple the Church and plant new churches . At the same time, INTC needs churches to partner with the college through prayer, finances, and assisting in the recruitment of new future leaders to attend INTC.